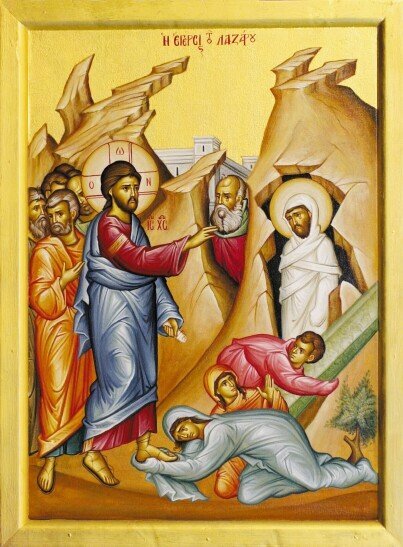 Yesterday’s gospel reading of the healing of the blind man (Luke 18:35 – 43) emphasises faith as key in the Christian life. Faith is ” I believe” whereas knowledge is “I know”. Knowledge relates to the world that is seen whereas faith relates to the world that is not seen. However, the materialist that measures success on wealth, fame, glory or any other earthly measure has something in common with the person of faith that believes in Christ. Even though faith and knowledge are diametrically opposed you can never have enough. The materialists can never get enough of wealth, fame or glory. No one rejects these measures of the material world. Likewise, following Christ is aspirational. Our life, should we declare that we are his followers, will always be a work in progress. We must always be on notice that we may meet Christ at any time and that we must always be ready. This means that we can never rest and say we have done enough. So how can we say as Christians that we are growing our faith? Faith, goes hand-in-hand with spiritual growth. As one grows so does the other and they feed off each other in a symbiotic relationship. Central to that relationship is innocence and a sense of wonder. These two qualities unfortunately are little valued by the material world. Yet, it is precisely these two qualities that allow us to see afresh the wisdom and beauty of our Heavenly Father. Let us ask the Lord to allow our spiritual growth so we see this world as a constantly growing song of praise to God. In this way we too may answer honestly when Christ says to each one of us: “what do you want me to do for you?” Then, like the erstwhile blind man, may we also follow Christ and glorify God. The programme for this week is as follows: Tuesday,4th December, great martyr Barbara: matins from 7.30 a.m. 6.45 p.m. adult education class continues (a revisit of the epistles of St Paisios); Wednesday 5 December St Savvas matins from 730 a.m.; Thursday Saint Nicholas the wonderworker matins from 730 a.m.; Saturday divine liturgy in English 9 a.m. to 10.15 a.m. The feast day of Saint Nicholas in Bunbury is being celebrated again this year: the programme is as follows: 6th December (being the feast day itself) divine liturgy from eight a.m. to 10 a.m.; Saturday the eighth December Vespers 6 p.m. to 7 p.m.; Sunday the ninth of December divine liturgy 8 a.m. to 11 a.m. thereafter a luncheon will be presented at the hall. For further details contact 9446 6301. Mark it in your diaries: our church Sunday school breakup party and concert will be on Sunday the 23rd of December at 5 PM. Mums and dads please bring a plate of fasting food (remember no fish!). Come and enjoy our children (and grandchildren), the company and the Christmas carol singing. Our food store continues to meet a growing demand. We need the following foodstuffs: tea, coffee, spaghetti, oil, rice, long life milk, biscuits and canned goods. We have also have installed shelving for clothing and we are now in a position to accept clean and preferably, unused or little use clothing or shoes. When you bring the clothing please make certain that they are separated so we can put them directly into wire baskets. May you please bring boys and girls clothing as follows: 0 to 12 months; one to 2 years; 2 to 4 years; 4 to 6 years; 6 to 8 years and 8 to 12 years. Other clothing (including men’s and women’s) is also required. Bear in mind that we are going into summer so lighter clothing is preferred. If you wish to help financially the account details that our store operates from are: BSB 082057 account 616004624. If the holy Scriptures were not given to us so that we should enclose them in books but rather engrave them upon our heart as St John Chrysostom reminds us then it follows that only are a life lived for others is a life that is worthwhile living.